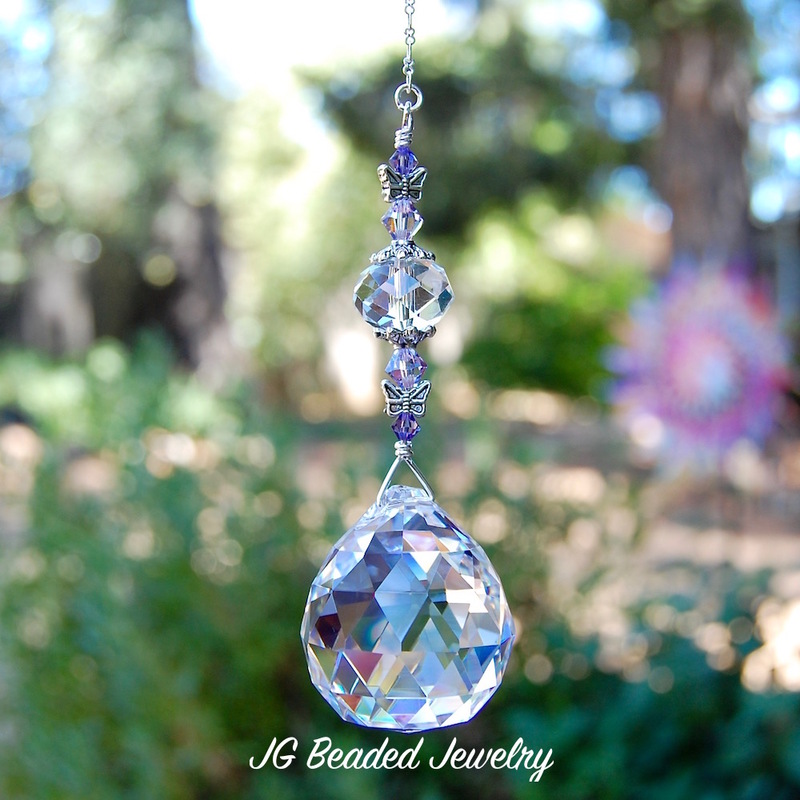 Purple Swarovski and Butterfly Suncatcher! 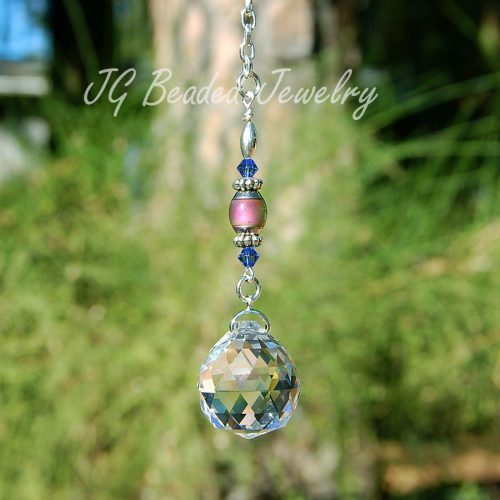 This purple butterfly suncatcher can be hung on the rearview, in a window or from an existing ceiling light/fan chain pull! 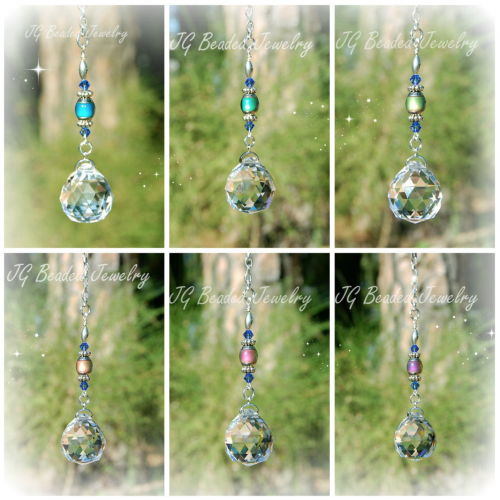 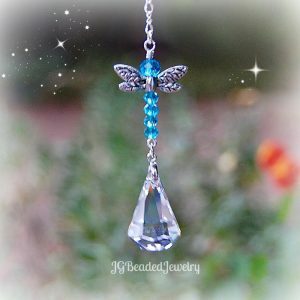 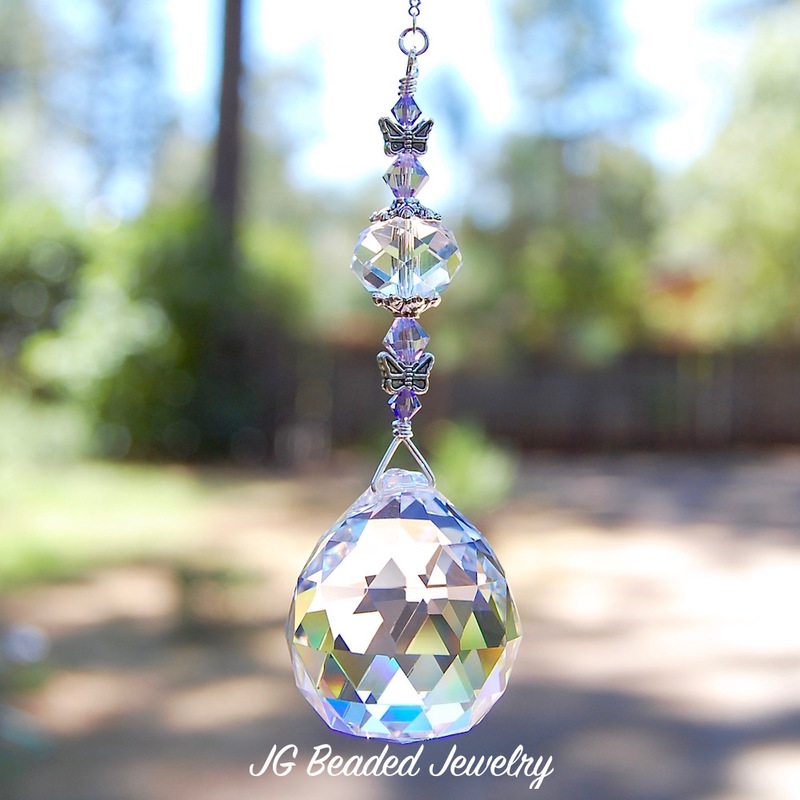 The unique hanging crystal is designed with a beautiful clear 30mm faceted prism crystal ball, tanzanite and violet Swarovski crystals, butterfly and fancy silver metal beads.